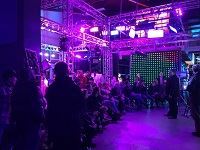 Enthusiasm ran high in the camera and lighting crowd as Xytech Technologies, an NZCS platinum sponsors, hosted an evening event to showcase the new full colour LED lighting technology that is revolutionising the way some sets are lit. Xytech Technologies owner Stephen Pryor Kicks the evening off. 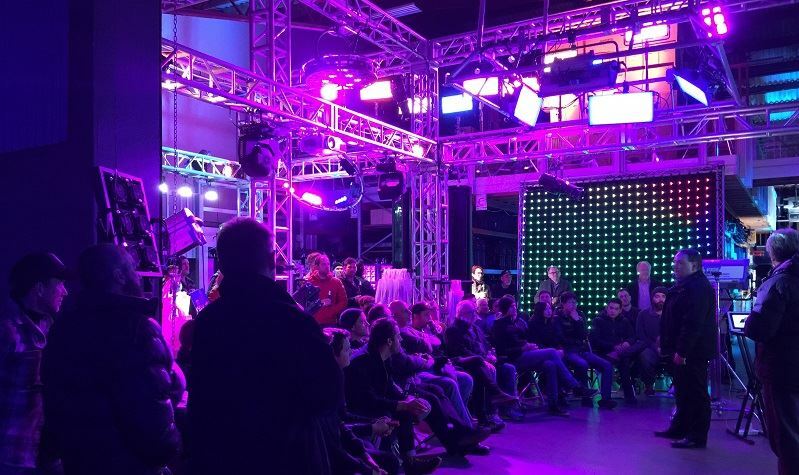 Enthusiasm ran high in the camera and lighting crowd as Xytech Technologies, an NZCS platinum sponsor, hosted an evening event to showcase the new full colour LED lighting technology that is revolutionising the way some sets are lit. As a huge bonus, Brett Smith, GM of ARRI Australasia - also platinum sponsors of NZCS - flew in with Bertrand Duaphant, GM of ARRI Lighting in Asia Pacific, and Nancy Liu Lighting Product Manager, ARRI Asia. 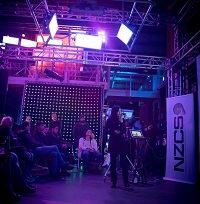 The ARRI visitors generously shouted NZCS members drinks and nibbles, and a table of ARRI swag. The evening opened with introductions and welcome from owner of Xytech Technologies, Stephen Pryor, and President Richard Bluck NZCS, followed by a presentation from Nancy Liu that showed how the Skypanel technology aims to produce a high colour rendering index whichever measure you happen to use. Nancy also illustrated how much control the simple menus provide. Perhaps the highlight of the evening, was an amusing and light-hearted talk by gaffer Dave Brown and best boy Scott Harman who explained their experiences with the Xytech equipment - including Digital Sputniks and ARRI Skypanels - on Ghost in the Shell. However the message from the evening was serious: this technology brings with it a change in the way of working, but the result can be absolutely amazing. If you missed this event, that's bad luck, because was both informative and enjoyable. Still, we aim to hold informative events like this regularly. To stay informed subscribe to our newsletter here. Special thanks to Xytech Technologies, ARRI, Dave Brown and Scott Harman. Bertrand Dauphant explains what ARRI Technology can do. Entries are now open for this year’s fully-fledged cinematography awards. The inaugural NZCS Awards will celebrate, honour, and encourage world-class cinematography in New Zealand. 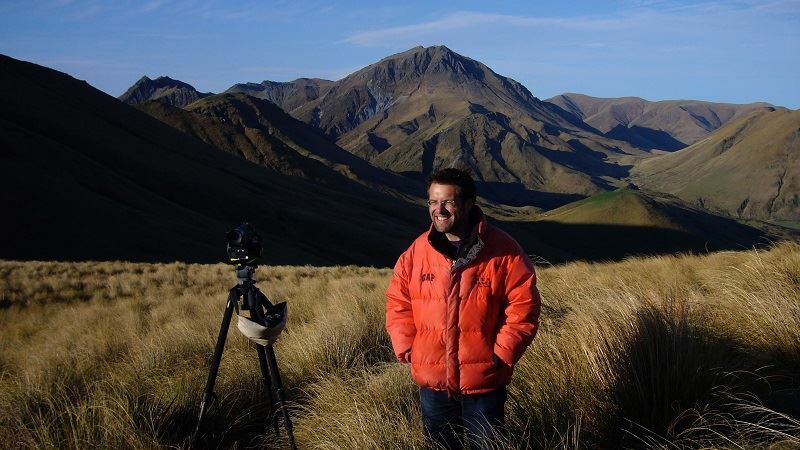 “The aim is to celebrate the Impressive range of professional cinematography and image-making in New Zealand today,” says our NZCS President, Richard Bluck. Based on the highly successful ACS awards in Australia, the NZCS Awards elevate cinematography out of a niche slot in general industry awards, and turns the spotlight on the skills and achievements of directors of photography, cinematographers, and camera people who strive to produce the best images. “There can be more than one gold, silver or bronze in each category,” explains Dave Cameron, who serves as the NZCS Awards chair. 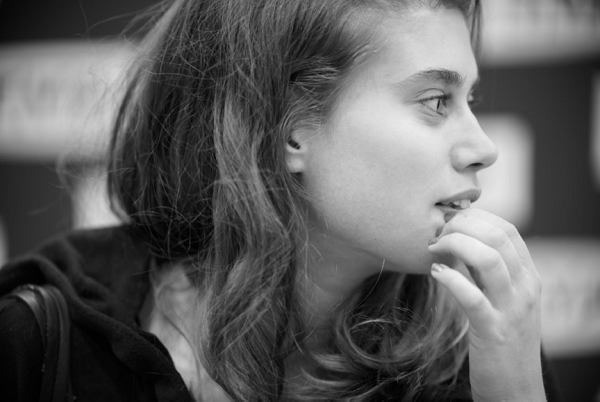 “This puts the focus on the skills that produced the images, not the budget or amount of equipment. The Al Guilford Memorial Award is a special award to recognise emerging cinematographers will also be presented at the NZCS Awards dinner along with the Turtz Award for contribution to cinematography in memory of Ian Turtill. This award is selected from nominations and may be made to someone who is not an active cinematographer. Technology companies and post-production houses form a growing list of sponsors for the NZCS Awards. 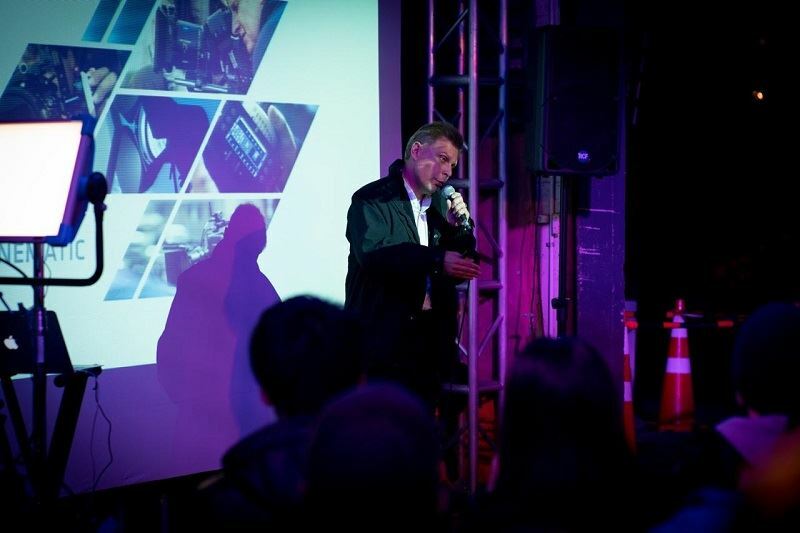 Panavision, A2Z Technology and Xytech Technologies become platinum sponsors, with ARRI, DVT, Canon NZ, Sony NZ, and Toybox taking gold sponsorships. A full list of sponsors will be announced soon. The NZCS Awards will be presented at a black tie dinner at the Heritage Grand Tearoom in Auckland on 15 October 2016. NZCS Awards entries close 15 August 2016. Productions released since 1 Jan 2014 are eligible. 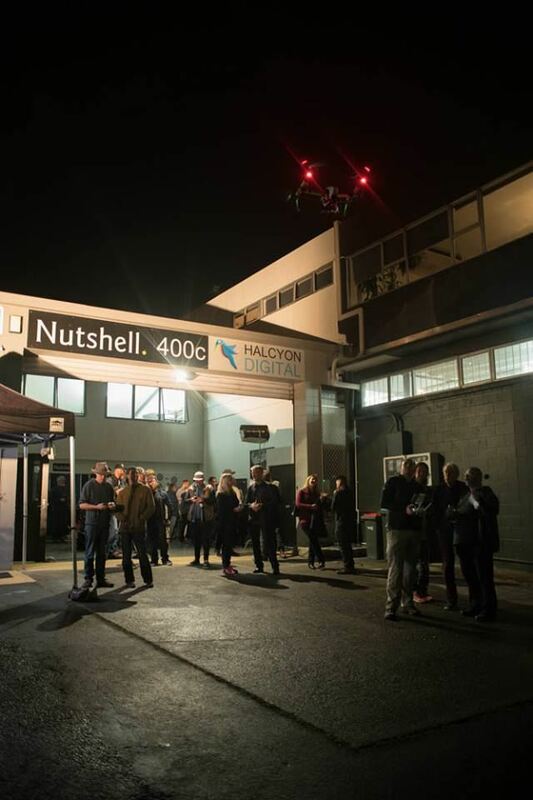 Nutshell's new rental facility was packed out on 21 June for an event billed as leaving the Wild West behind - at least as far as drones are concerned. 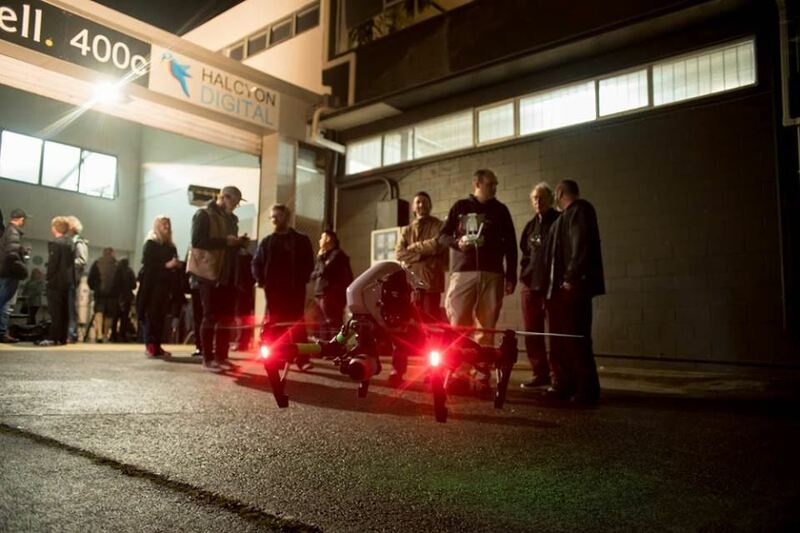 Members were treated to one of New Zealand most experienced drone operators, Murray Milne NZCS, explain what you can and can't do without risking infringing regulations and creating safety hazards. 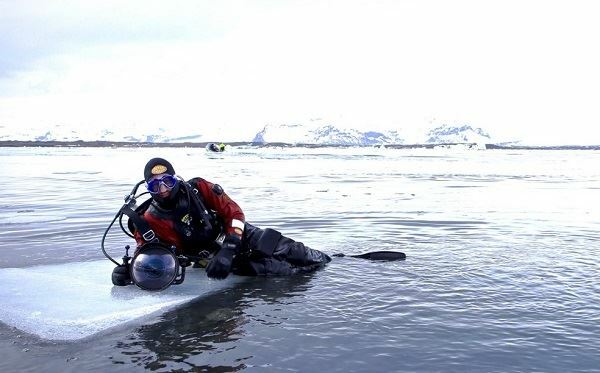 Milne brings a methodic and meticulous approach to the subject - an approach that has stood him in good stead as a cinematographer building an extraordinary record of extreme adventure shooting, including hundreds of parachute jumps and scuba dives with a camera in his hand. An official from the Civil Aviation was also on hand to answer questions. Planning for the exciting new NZCS Awards is well under way. 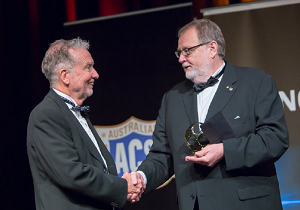 Based on the highly successful ACS awards in Australia, the NZCS Awards will celebrate, honour, and encourage world-class cinematography in New Zealand. 15 August 2016 - the closing date for entries. 15 October 2016 - NZCS Awards black tie dinner to be held in the Grand Tea Room of the Heritage Hotel in Auckland. “We will be celebrating the work of New Zealand cinematographers on high profile productions but equally we will be bringing to light those quiet achievers whose credits are often in the background, but who are producing high quality images in television, or for the web,” says Dave Cameron ACS, NZCS Awards chair. He says right now we are working to bring sponsors on board, and are delighted at the response from key players in the industry. The call for entries and a PR campaign begin in earnest during July and to make sure you hear about it in plenty of time to get your entry in, subscribe to our newsletter, or join as a member. Find out more about the NZCS Awards. Since since 1 June, you may have noticed that NZCS is charging GST on all invoices. This is a good sign, because it shows that our society is growing to the point where the Inland Revenue Department insists that we become GST registered. The NZCS Awards planned for 15th of October 2016, are enough to push us into the compulsory GST realm. Luckily, the majority of our members are registered for GST so will be able to claim it back. 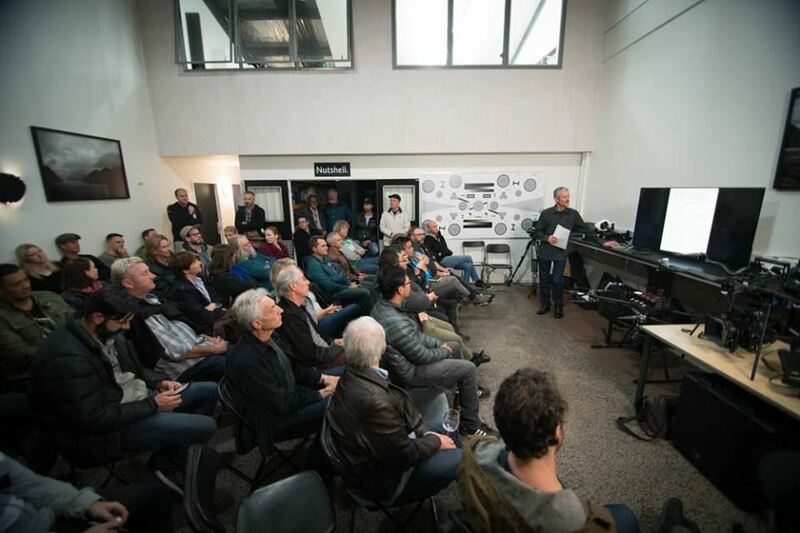 A generous host and an engaging speaker combined to make an informative and enjoyable evening at Metro Films new facility in Auckland in early May. Rainer Hercher from CW Sonderoptic, who make Leica cine lenses, explained the philosophy behind the Summilux and Summicron lenses and what they lenses designers aim to achieve and the trade-offs they have to make between weight, complexity, manufacturing processes and cost. CW Sonderoptic was started in 2008 as an offshoot of Leica, and the cine lenses picked up a Technical Academy Award in 2015, for Ian Neill’s optical design. This is more than a little unusual as this is the same optical guru who years ago also won a Technical Academy Award for the original Panavision Primo lenses. Hercher’s talk was illustrated largely with still images. “Movement always distracts your eye from the other elements and individual frames are softer,” he says. Creamy sharpeness, was a term many hadn’t heard before and Herscher explained picked it up from a Spanish DP customer who used it to describe the seeming contradiction of providing sharp detail around the eyes yet a smoothness across the skin. Finally the evening wrapped up with a frank talk about how CW Sonderoptic balance the importance of matched speed and performance across a range of prime lenses, and the difficulties inherent in producing economically viable lenses at the wider and longer end. 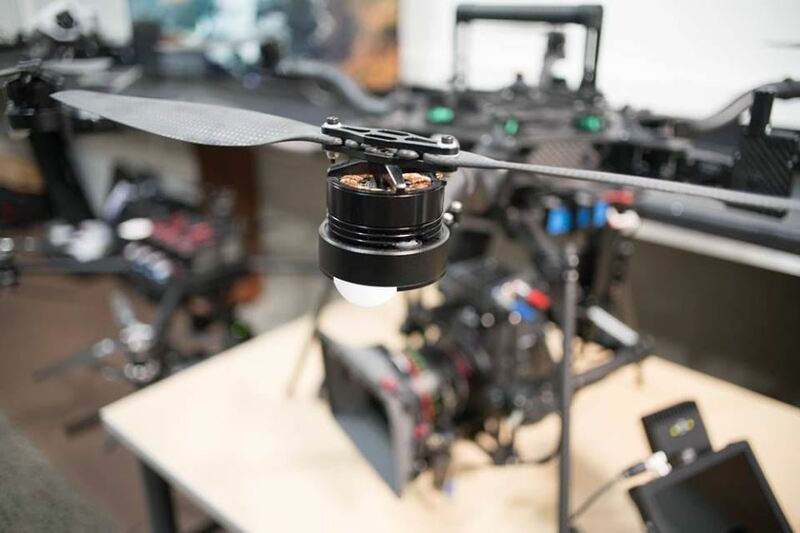 There are a lot of questions in the future of lenses, and Hercher acknowledged the sigh of relief of rental houses thankful that there wasn’t another round of new equipment imperatives at NAB this year. He says there has to be some reasonable chance to recoup investments for the industry to prosper, and in that context, 35 mm spherical lenses will remain the workhorse for a good while yet. When you watch a film at the cinema, you can tell the film industry people. They are the ones who make their partners stay behind for the entire credits, even as everyone else heads for the light and the loos. When camera people watch credits roll, they look for letters like ASC, ACS, CSC, BCS, and NZCS. These letters sometimes appear after the director of photography’s name and they have special meaning in the camera world. These acronyms represent accreditation by the American, Australian, Canadian, British, and New Zealand cinematographers’ societies. Accreditation by one of these societies is acknowledgement that you are a master cinematographer who has a consistently high quality body of work to your name, and that you have earned the recognition and acknowledgement of the profession. Although details vary around the world, cinematographers’ societies accredit members in ways similar to other professional associations. After an appropriate qualifying period as a full member, if they feel ready, a cinematographer may apply for accreditation by submitting a range of projects. Their application is assessed by an accreditation panel and, if successful, they earn the exclusive right to use the society’s acronym after their name – in our case NZCS for New Zealand Cinematographers Society. Full membership of NZCS is itself recognition of professional standing and something to be proud of. It requires that cinematographers have worked as directors of photography for at least five years. But until you earn accreditation, you can’t put those crucial letters after your name. Of course, these days NZCS is not just composed of cinematographers. About half of the society are associate members who are not yet eligible for full membership, are other professional camera crew, or work with cameras and images in other ways. Accreditation is different from a prize or award. Awards are for a particular project, and deserve lots of applause, but accreditation is awarded to the cinematographer for their body of work, requiring a level of experience and consistency that you don’t get from an individual award. Winning awards adds gloss to your CV and some NZCS members seem to have a pretty good run of awards by entering in the Australian ACS. In other countries awards are considered helpful in leading up to accreditation, but in the past there was no dedicated NZCS cinematography awards. However, this year planning is well advanced on our own new and exciting NZCS awards to be held in October. These days NZCS, like other cinematography societies around the world, has a pretty broad definition of cinematography encompassing the full gamut of genres and formats, that involve lighting, composition and processing of moving images. This means accreditation it not just about feature films but is open to cinematographers who might specialise in areas like commercials, reality, or documentaries, all of which have their own challenges. So as 2016 applications for NZCS accreditation are accepted, a look at some of the 18 current NZCS accredited members reveals cinematographers who have accreditations not just with NZCS, but also with Australian, Canadian, and US cinematographers’ societies. This shows NZCS accreditation is valued in the international camera world, and is worth watching for next time you watch those credits roll. NZCS members Marc Swadel and Leon Narbey NZCS write in memory of his brother, who was well known in the New Zealand screen industry as a director, producer, and educator. On 18 March 2016, my brother Paul lost his hard-fought battle with dementia. He was 47. He went in his sleep, surrounded by his family in his home town of Christchurch. At that moment, we all lost a great bloke and a true force for good in film and TV. Paul crammed a lot in to his short life. He was a director and producer of Cannes-nominated, award-winning arts documentaries, music videos, features, commercials and short films. 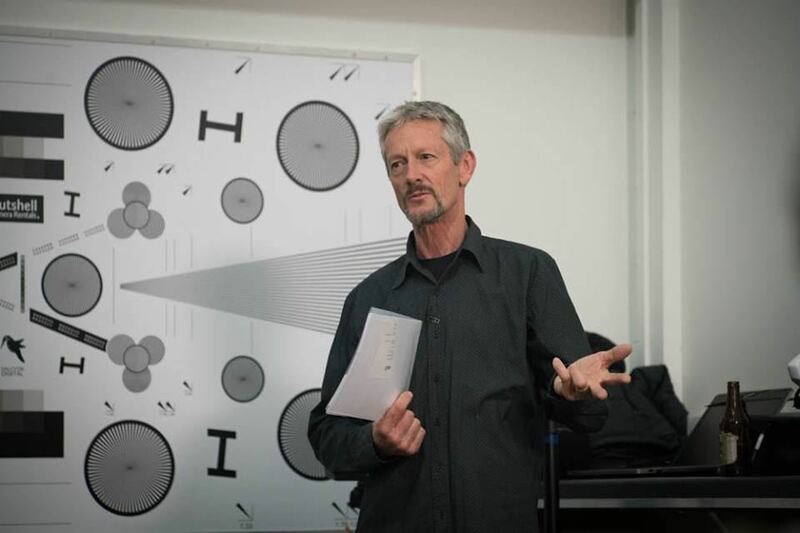 As an executive producer and development executive, he had an impressive track record of mentoring new talent with the NZ Film Commission, and as a teacher and inspiration to hundreds of students at Waikato Polytech, The Media Design School, and the Elam School of Fine Arts. There would not be many people in film in NZ who had not known, or worked with Paul in some way. I was amazingly lucky to be able to work as a co-director, DP, soundie and collaborator with my brother over the last 20 years. Paul came from a fine arts/painting background, and ‘got’ the art and language of cinematography, which is a rare gift in a producer or director, especially in TV. Paul’s big grin and dark humour will be missed. A celebration of Paul’s life and work, with a showing on 35mm, will be held at the Hollywood Cinema, 20 St Georges Rd, Avondale, at 7:30 pm this Sunday 10 April. Feel free to BYO and toast to the memory of Swad. ‘I was fortunate to collaborate with Paul Swadel on two productions that he directed: Colin McCahon: I Am 2004, and The Big Picture series 2007. Late at night in a London budget hotel, I had to deliver and exchange cloned HD rushes with Paul. The door opened and I was greeted with his smiling jet-lagged sleep deprived eyes, while in the dark background surrounding his face was a pool of laptops running with that day’s rushes amongst a tangle of cables, flashing drives and clones. His face and his expression in this context will always stay with me. Paul was the most hands on director I have ever worked with. He wanted to know everything about cameras, especially film cameras. He was more versant and cognizant of the new digital formats than I was at that time. We shot Colin McCahon: I Am in four formats: super 8mm B&W, hand cranked and single frame 16mm, and two digital formats. Paul wanted this blunt conjunction of grain and texture with the pulse and fluctuation of exposure giving it a painterly or even kinetic bounce; a subjective attempt at projecting McCahon back into a filmic landscape. On The Big Picture we wanted a small kit for international travel and for Paul it had to be a small 1080 HD capture camera (which was the ultimate in that day). At that time, your recording duration was very limited and we knew Hamish Keith was going to deliver long complex voice to cameras pieces and the last thing we needed was a run out just when he was peaking. Paul sorted it by devising auxiliary 1 GB external hard drives (then larger than a pack of butter) and attaching them to the camera. But Paul was more than just a technician. His relationship with Hamish was casual and yet firm; always able to ignite and project glowing performances from Hamish. 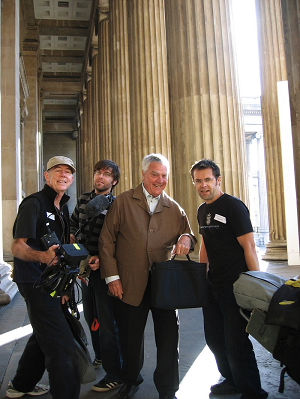 At the National Archives in The Hague, Paul’s charm secured us the use of service trollies, making one into a make shift camera-dolly which allowed us to move with Hamish as he walked and talked amongst the many aisles of collated material, ending with Tasman’s journals. I will always remember being with Paul on our knees closely examining Isaac Gilseman’s drawings of Tasman’s encounter at Murderers Bay in 1642. It was just us in a treasure store, with a magnified lens on the camera only millimetres from the surface, capturing the marks someone else had made all those years ago. I will very much miss Paul’s vitality, verve, and energy. ScreenSafe is running a roadshow to explain what you need to know, and what you need to do, now that the new health and safety legislation is in force. ScreenSafe’s website shows the new downloadable screen industry Health and Safety Guidelines, which replace the old safety Code of Practice. These plain English guidelines are designed to help you to meet the requirements of the Health and Safety Work Act 2015, which cames into effect on 4 April. ScreenSafe Chair David Strong says the message from the new Act is that everybody in the screen is now responsible for health and safety. “It’s up to everyone, no matter the scale of production, from those running the show to those working on it, to support a safe and healthy production. With the launch of the website, we will have one central and free location for everyone to learn and understand our obligations under the Act,” he says. An initiative of The Techos' Guild, ScreenSafe is an industry-wide collaborative effort with backing from the NZFC, NZ On Air and SPADA along with other guilds, industry bodies and regional film offices. As part of this piece of work, ScreenSafe has engaged MinterEllisonRuddWatts to provide legal guidance on the interpretation of the Act. In February cinematographers Dave Garbett and John Cavill related their experiences on the 2015 Ash vs Evil Dead shoot to an audience of NZCS members and guests. The event was held at Spoon, while they were prepping their 2016 shoot. To kick things off NZCS members and new faces were treated to an episode of Ash vs Evil Dead, which set the tone of the evening and stimulated lots of questions for Garbett and Cavill. In 2015 Dave Garbett stepped into the franchise and shot the first episode of the 2015 series, establishing the look and feel for the series. He says it is a stylised look, harking back to the B grade movie style of the original 1981 cabin-in-the-woods horror. He means believable in the sense of visually convincing, because this is not real life, it is an unapologetic horror, with skewered-torso, severed-head splatter. “It makes for quite a lot of interesting conversations as you are faced with more and more bizarre situations as the episode progresses,” he adds. The shoot came with plenty of challenges, and pretty much the whole thing is inside a studio – including the forest, which was shot at Kelly Park. They try do to as much as they can in camera, digital EFX augmenting what they have shot when necessary. One example was the sequence where the hero fights his own doppelganger imposter. Another in-camera sequences was a car chase with an fight inside a car, which was completed using back projection plates and exteriors shot by the second unit. Cavill explains that they needed three back projection screens: rear, side, and overhead suspended just a few inches above the roof to put reflections onto the windscreen. “We picked a piece of road about a kilometre and a half long and changed the street lamps to daylight, “ says Cavill. The car was towing an enormous trailer – an American style caravan. “Back in the studio the biggest challenge was that that you see the street lights going over the trailer,” Cavill says. At the speed they were going Cavill timed the intervals between streetlights as six seconds, which he duplicated for the car by synchronising and programming Color Source 72 LED battens, to give the same effect. They had to introduce sufficient random camera and car shakes, and reflections, to make the whole thing look convincing, a feat the audience make clear that they had pulled off successfully. The evening too was judged a success, thanks in large part to the willingness of Garbett and Cavill to talk openly. Special thanks to Spoon for the venue.